A popular, compact, bushy shrub or small tree with mid-green leaves and silky buds which open up to large, pure white, star-shaped flowers, sometimes faintly flushed pink. The flowers are lightly scented, and open very early, before the leaves, eventually covering the shrub for several weeks. This is one of the best magnolias for a small garden. Garden care: Plant in a sheltered spot, away from strong winds. Requires minimal pruning. Remove any broken, diseased or crossing branches in midsummer. Plant in a sheltered spot, adding plenty of composted matter to the planting hole. Mulch in spring with manure and leaf mould, especially on dry soils. This plant was purchased one year ago, small 2 litre pot. Magnolias are slow to grow. It has grown well in its 1st year in our garden and put on a good 10cms. I'm happy with that. It did not flower last year and I have high hopes for this year. It looked very healthy and had good foliage last summer. A perfect small tree for a shady spot and good in a pot for quiet a few years before needing to be planted into a shady spot in the ground. Healthy plant, hardy and easy to grow. Comes back year after year. Looks attractive in a pot or garden. Just what I was looking for. would recommend. Last week in the extreme heat my recently purchased magnolia stellata (still in the 3 litre pot) got very heat/sun damaged despite being well watered. A lot of the leaves are brown and dried (but not all). I am wondering if it will survive or just to buy another one instead? Hello, It sounds as though (despite) being watered, it dried out, which they do very quickly in the small pots. Whether of not it survives is difficult to say as it will depend on how badly damaged it was. I would be tempted to hope for the best however and plant it out as normal. Keep it well watered and keep an eye on it. It is unlikely to put on much new growth before spring next year, however you will be able to check and see if the stems are still alive by gently scraping your fingernail along the stem. If it is green just below the bark then there is a good chance it will survive. Hello Crocus, I am ordering a range of plants for my son's new home as a Christmas gift. 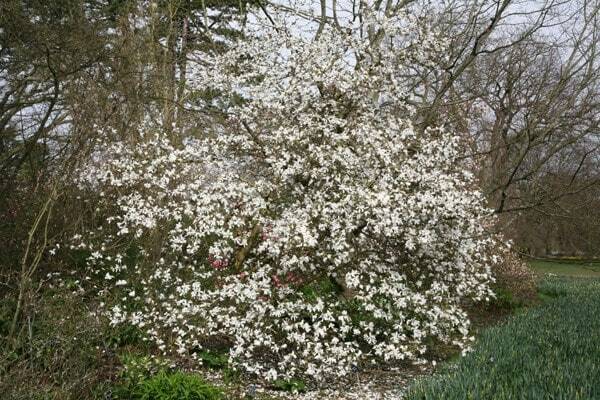 I have had a Magnolia Stellata Waterfall for some years which is stunningly beautiful and so wanted to include one of these. 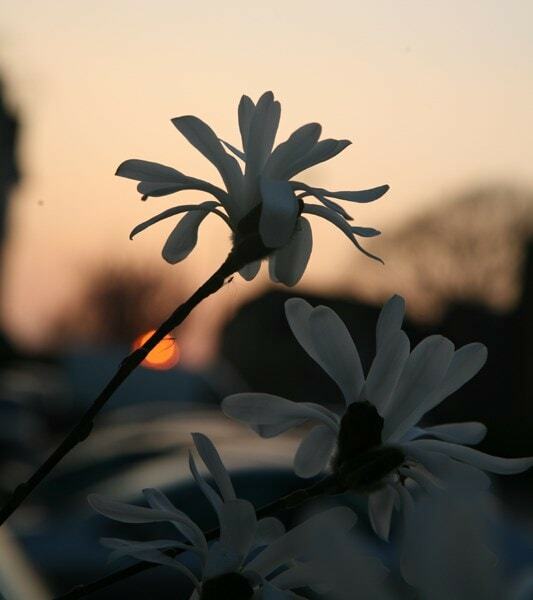 Your Magnolia Stellata doesn't specify which variety it is ... can you help? Thankyou. 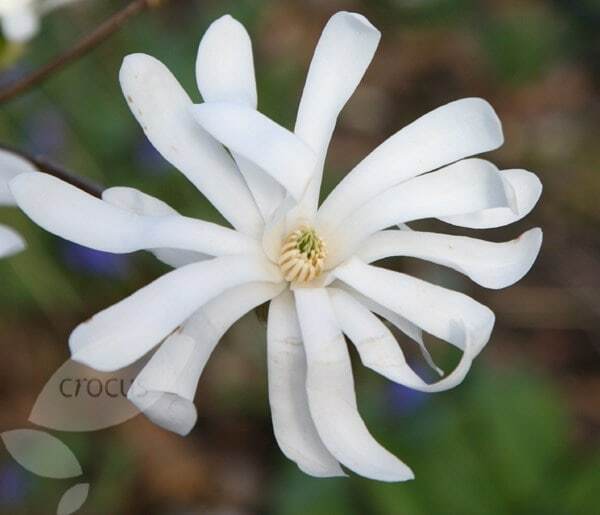 Hello, We sell the species rather than a cultivated form, so its full and proper name is simply called Magnolia stellata. Magnolia tree pruning Greetings, We have a very mature Magnolia tree which grows from five thick stems (6 inches across) from ground level. The canopy starts from 4 feet and it has grown now 20 feet. It flowers well and often has a second flowering in September. It is a well known tree in our rural area. Can I prune the tree down to six feet in height with the hope it will send up sapling growth and then I would be able to control the height from ground level as now owing to heath problems I am not allowed to use step ladders. In anticipation --much appreciation. Size of your Magnolias please? I'm thinking of buying a magnolia from you and would like to know roughly how tall it would be when delivered. Your site provides the final size but not the size on delivery, only the pot size. 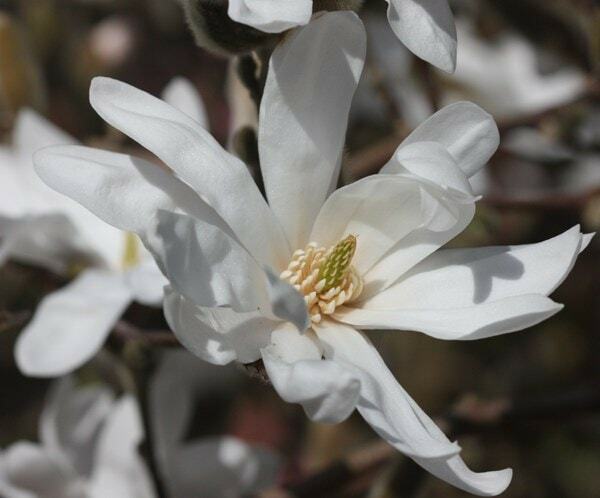 It will really depend on the variety as some are naturally more vigorous than others, but as a very general rule, the 3 litre Magnolias are approximately 25 - 30cm in height, while the 5 litre Magnolias will be roughly 50 - 80cm tall.